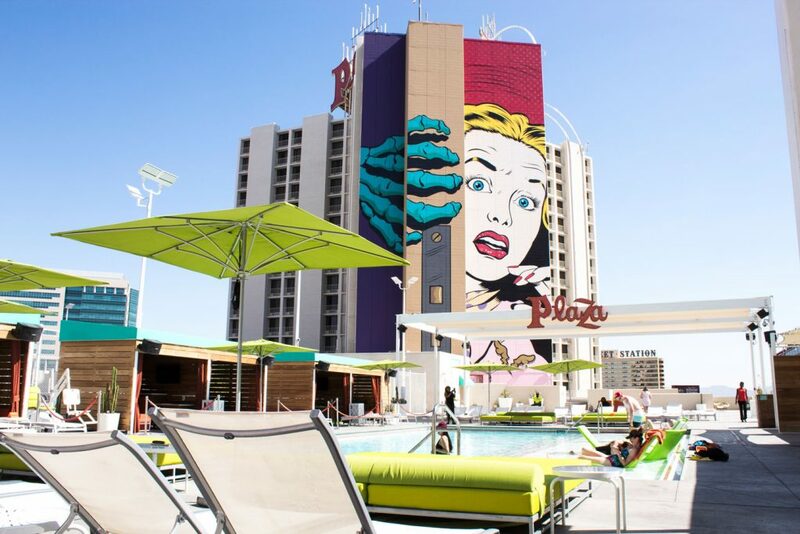 The Pool at the Plaza is in season and making waves in Downtown Las Vegas. With a 70,000 sq. 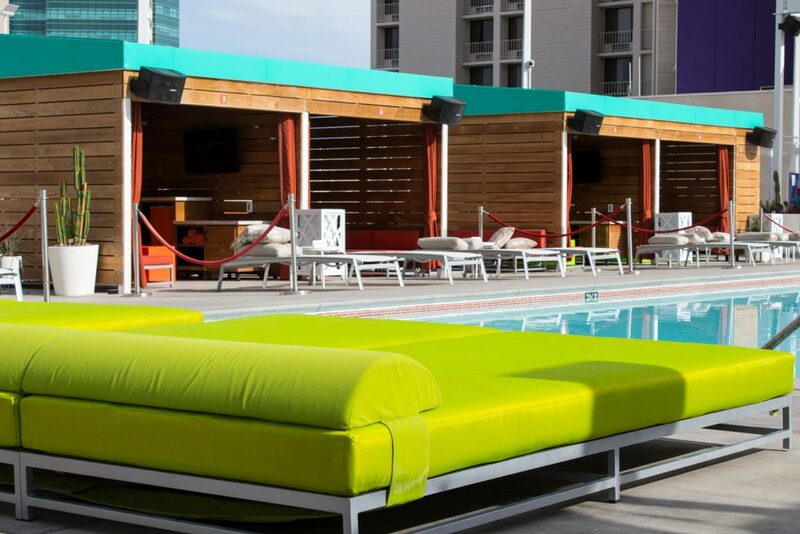 ft. pool deck, you’ll have plenty of space for relaxation and entertainment. 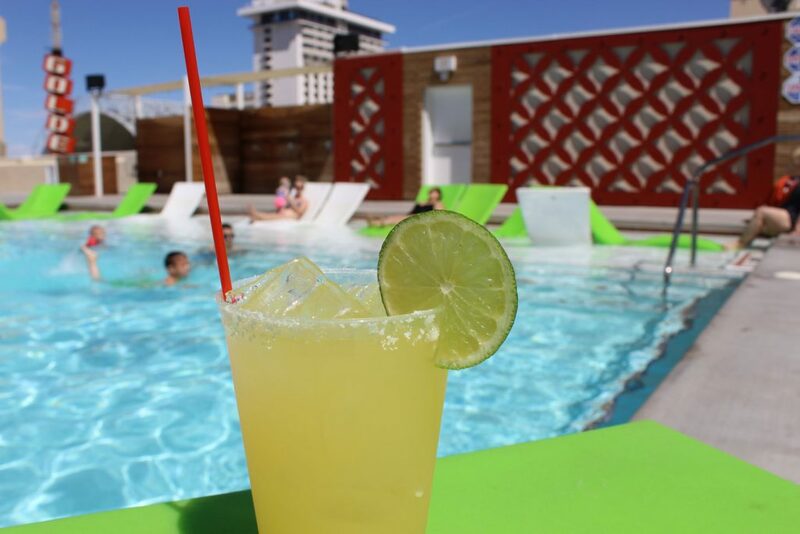 The pool and hot tub are heated year-round. Towel service will be provided, with tennis court, pickleball courts and equipment rentals also available. Hotel guests and locals with a valid Nevada I.D. 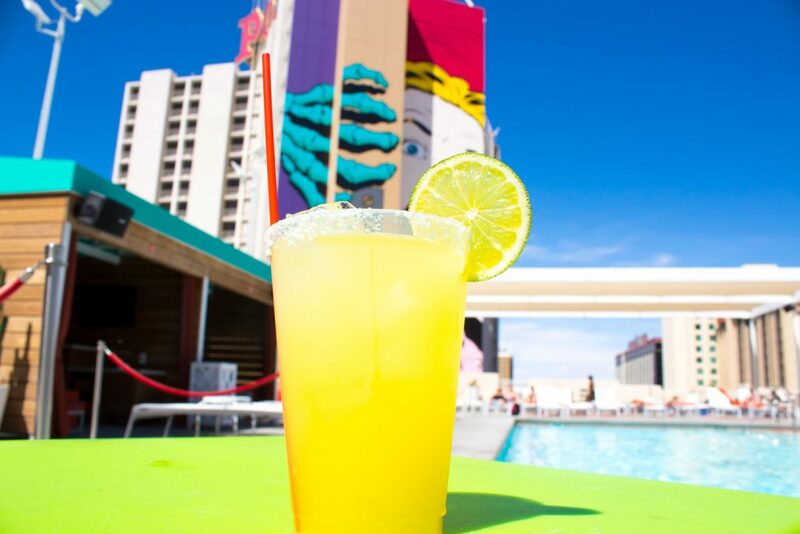 receive complimentary admission to the pool. 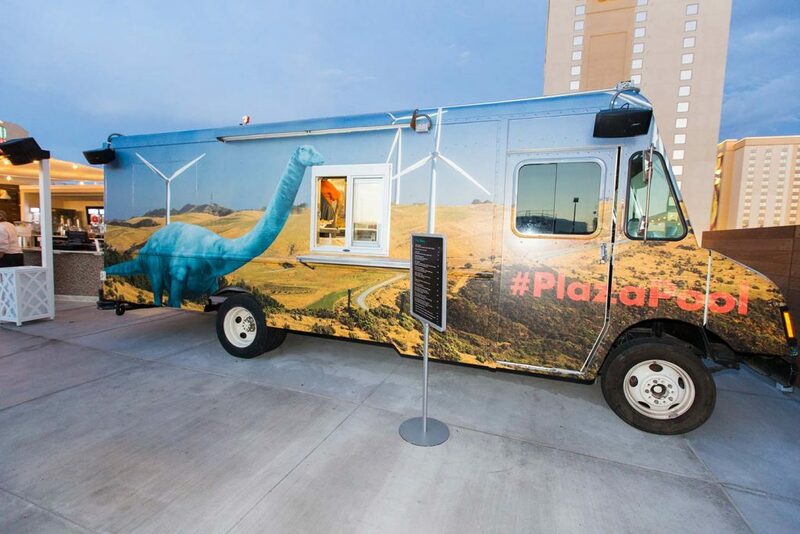 Non-hotel guests and locals must be over 21 years of age. 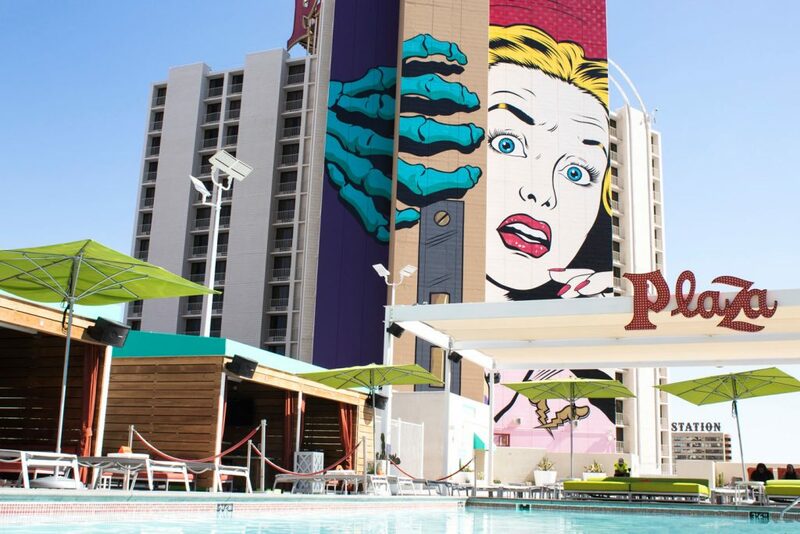 Vintage Palm Springs meets Downtown Las Vegas. All New Classic Cool. 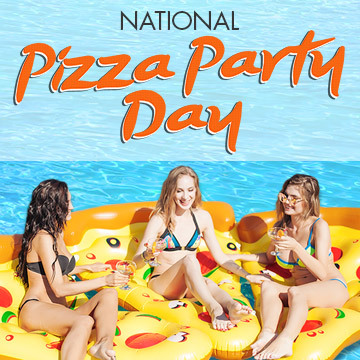 Call 702-738-9686 for more information. 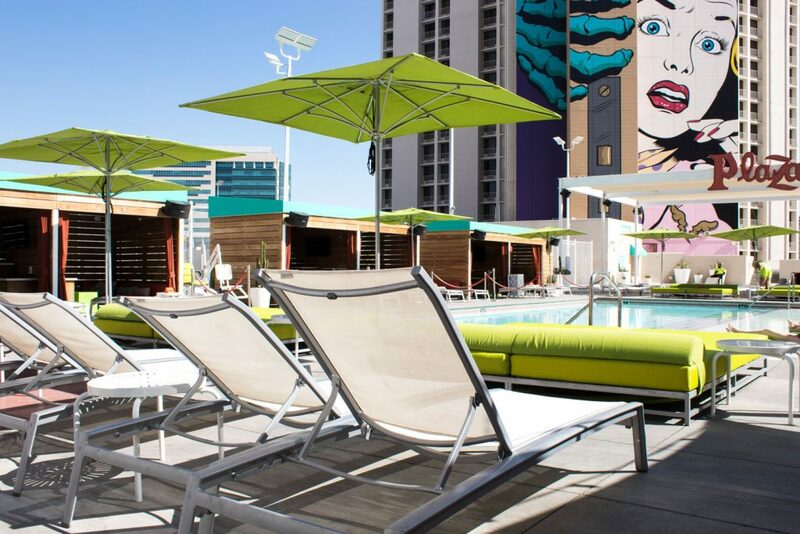 Rooftop Pool overlooking the Fremont Street Experience in Downtown Las Vegas. 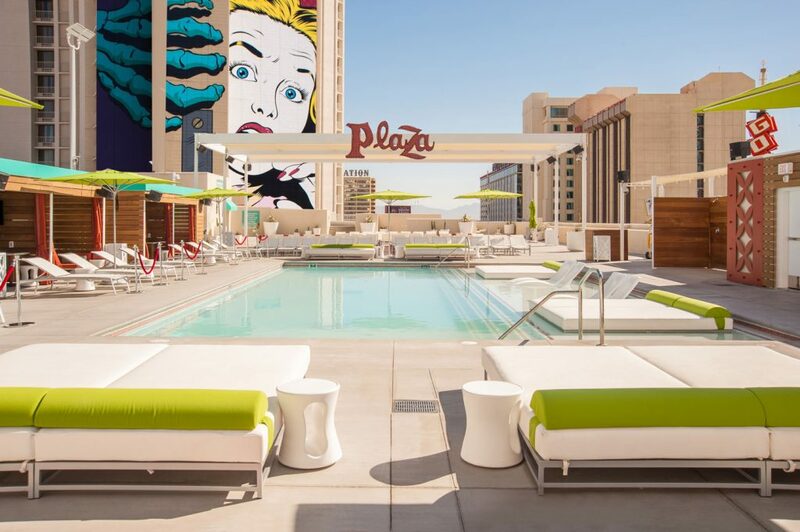 Sign up to receive updates about the Pool at the Plaza. 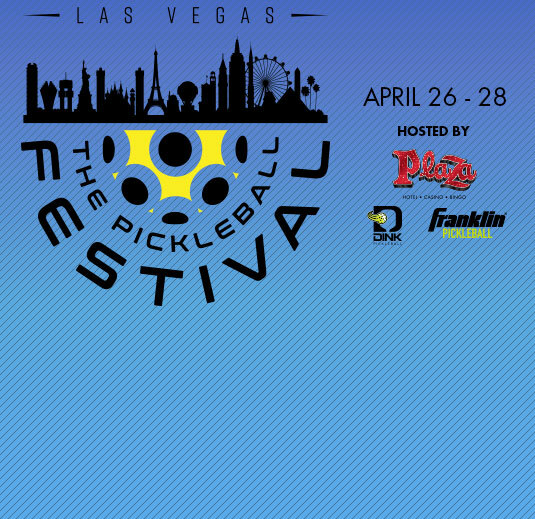 Come enjoy a weekend filled with pickleball, food and entertainment with fellow players from across the world. 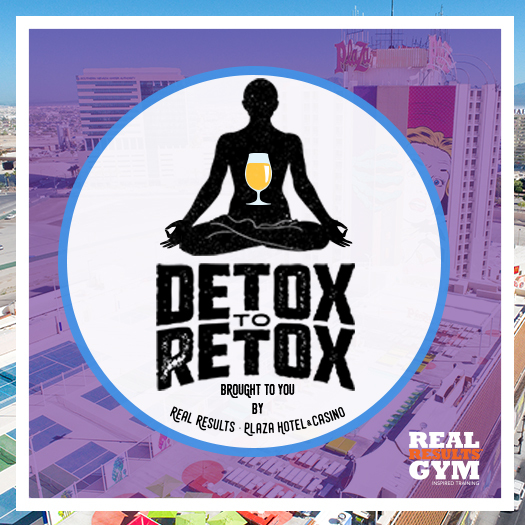 Come for the yoga,stay for the drinks.